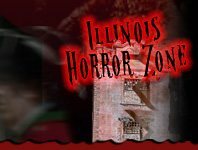 Here at IllinoisHauntedHouses.com, we want to make sure you have the most memorable, fun, and spooky Haunt Season. That's why we've put together a bunch of the greatest things to do this Fall. It's the most organized, simple, and extremely easy way to plan ahead and find the greatest stuff going on in your area. 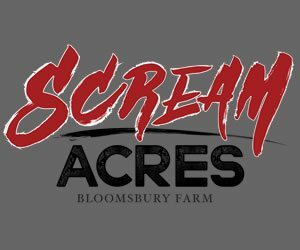 Anything from Halloween parties to haunted houses and corn mazes, we've got you covered. Still not convinced? Start searching now – our site is broken down by area and event type to make your searching made simple. 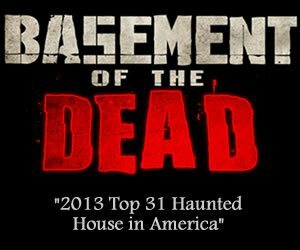 The Haunt Season will be here before you know it, so don't delay! Check out Illinois's Real Haunts, where ghosts, ghouls, and apparitions make their home year round! Across Illinois, there are tons of houses, cemeteries, and places that are truly haunted - get all the gory details about Illinois's Real Haunts right here! Halloween Season celebrations here in Illinois are surely like no other, offering tons of spooky and kid-friendly events all throughout September, October, and even early November. Illinois Haunted Houses gives locals a one-stop-shop of Haunted Attractions and upcoming Fall Season events. 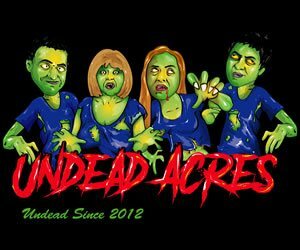 From Haunted Houses, Spook Walks and Haunted Trails, to Scream Parks, Zombie Hunts, Haunted Hayrides, Haunted Mazes and Corn Mazes, our site is a thrill-seekers paradise! If you're in search of more family-friendly events, we've got you covered there, too! Whether you're interested in a Pumpkin Patch to find the perfect pumpkins for your family, or a Festival, Corn Maze or Hay Ride, our list of Fall Attractions is absolutely endless, and will keep you and your family busy well until the Winter arrives. The Calendar of Haunted Attraction & Halloween Events features <strong>Illinois Halloween and Fall Fun events</strong> taking place all throughout the season, allowing our visitors to search for events taking place on an exact day, making advanced planning extremely easy! Whether you're in search of a Haunted House or other Halloween event taking place that very night, the next day, or the next weekend, our Calendar has locals covered. So no matter where in Illinois you reside, whether in the Windy City of Chicago, up North near Rockford, or more South towards Franklin, IllinoisHauntedHouses.com features an array of events no matter the location. 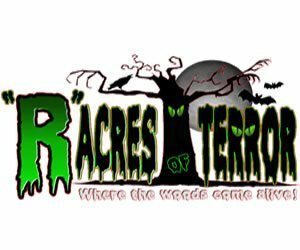 Before heading out to a local Haunted Attraction, thrill seekers can take a peek at our Reviews section, which gives locals an idea as to what they're getting themselves into! After an attraction has been visited, haunt-goers can leave reviews to let other locals know how their haunting experience was and at the same time, let the attraction owners know just how much fun they had! 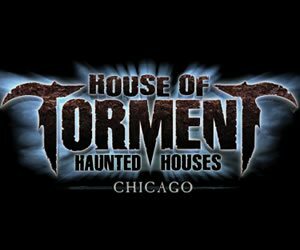 Each review helps generate the Illinois Haunted Attraction of the Year, which is announced after each Halloween Season. Both winner(s) and nominees are then listed on our Attraction of the Year page. Another page to visit before your haunt journey begins is the IllinoisHauntedHouses.com Coupons Page, because who doesn't enjoy saving money? We sure do! Any attractions that are offering coupons or discounts during the season will be listed here, so be sure to take a look first to see what deals are in store! 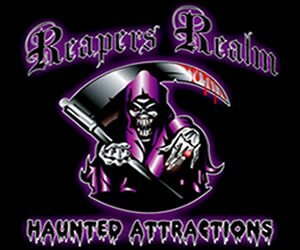 And if you need to know just how scary a haunted attraction is before trying to brave it, each listing features a "Scare Factor" to let visitors know the level of scares taking place at that specific location. 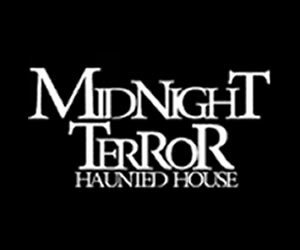 If you're someone who is more interested in the Fall Season activities, and Halloween fun with a little less scares, IllinoisHauntedHouses.com has events perfect for you, too! These include Corn Mazes, Hay Rides, Pumpkin Patches, Festivals, Parades, Parties, Escape Games and even Safe Trick or Treating events for the little ones. Another fun way to celebrate the Halloween Season is by checking out some Real Haunted Places in Illinois. Our Real Haunts Page features a ton of spots right here in Illinois that are believed to be truly haunted. These can be anything from actual homes, to theaters, restaurants, schools, hospitals, cemeteries and asylums - just to name a few. There are a number of haunted spots all throughout the state of Illinois that are well known and even more that many don't know about! So if you're interested in all things Paranormal, our Real Haunts page is ideal - but be sure to check before exploring any locations, as some are located on private property. Once the Halloween Season arrives, be sure to come back and visit Illinois Haunted for all your haunting needs and to stay updated on the array of seasonal fun taking place. 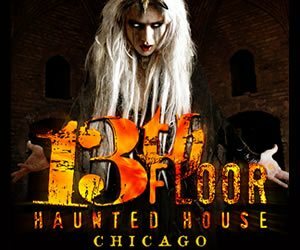 Our in-season Illinois Halloween Email Newsletter is another great way to stay updated, as IllinoisHauntedHouses.com will send you weekly emails featuring information, discounts, coupons and updates to assure you don't miss out on any of the scary-good fun! Visitors can also follow us on Facebook, Instagram, Twitter and Google+, where we keep the Halloween Magic going all year long!